Among items is unique pendant, resembling one which belonged to Anne Frank. Archeologists working at the former Nazi extermination camp Sobibór in Poland uncovered personal items that they believe were removed by Holocaust victims before they were sent to the gas chambers, the Yad Vashem Holocaust Museum announced Sunday. The items were found in the location believed to be where victims were forced to undress and have their heads shaved before being sent to their death. The archeological findings were discovered by Polish archeologist Wojciech Mazurek, Israel Antiquities Authority archeologist Yoram Haimi and their Dutch colleague, Ivar Schute. The remains of the building dug up by the archeologists are located on the so-called “Road to Heaven,” the path along which Jewish victims were forced to walk to the gas chambers. The personal items found in the foundations of the building probably fell through the floorboards and remained buried in the ground until they were discovered this past fall. The items found include a Star of David necklace, a woman’s watch and a metal charm covered in glass with an etching of the image of Moses holding the Ten Commandments; on the reverse side of the charm is the inscription of the Jewish Shema prayer. 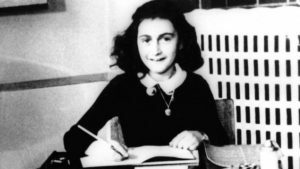 A unique pendant has drawn particular attention, as it bears a close resemblance to one owned by author and Holocaust victim Anne Frank. On the pendant are engravings of the words “Mazal Tov” written in Hebrew on one side and on the other side the Hebrew letter “Hei” for Hashem as well three Stars of David. It is believed to have belonged to a child from Frankfurt. 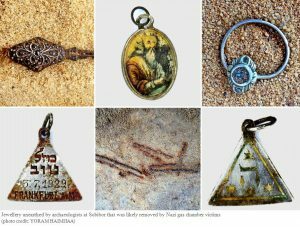 Through the use of Yad Vashem’s online pan-European Deportation Database “Transports to Extinction,” researchers found that the pendant might have belonged to a girl by the name of Karoline Cohn, born on July 3, 1929, who was deported from Frankfurt to Minsk on November 11, 1941. 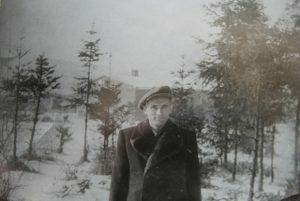 Yad Vashem said that while it is unknown whether Cohn survived the harsh conditions of the Minsk ghetto, her pendant reached Sobibór sometime between November 1941 and September 1943, when the ghetto was liquidated and the 2,000 Jewish prisoners interned there were deported to the death camp. Additional research revealed that both Frank and Cohn were born in Frankfurt; researchers are currently trying to locate relatives of both families and are exploring a possible familial connection between the two. “These recent findings from the excavations at Sobibór constitute an important contribution to the documentation and commemoration of the Holocaust, and help us to better understand what happened at Sobibór, both in terms of the camp’s function and also from the point of view of the victims,” said Prof.Havi Dreifuss, head of the Center for Research on the Holocaust in Poland at Yad Vashem’s International Institute for Holocaust Research. The archeological excavations at the site began in 2007, with the end goal of establishing a museum and memorial site in the former Nazi extermination camp, in coordination with Yad Vashem’s International Institute for Holocaust Research. During that time, the excavations have led to several important discoveries, including the foundations of the gas chambers, the original train platform and a large number of personal artifacts belonging to victims. Among these were metal discs attached to charm bracelets typically worn by children, upon which were engraved contact information in case the children went missing. Yad Vashem said the most recent excavations had uncovered signs of the use of mechanical equipment to dismantle the camp, as well as imprints left in the ground where trees were planted in order to conceal evidence of the camp. “The significance of the research and findings at Sobibór grows with every passing season of excavation,” said Haimi. “Every time we dig, we reveal another part of the camp, find more personal items and expand our knowledge about the camp. Israeli forces reportedly arrest former Tulkarem and Jenin governor, Talal Dweikat, early Wednesday. The IDF released Talal Dweikat, a former PA governor of Tulkarm and Jenin, on Wednesday afternoon, after arresting him several hours earlier. He also served as a general in the Palestinian Authority intelligence services. Dweikat was arrested “for his involvement in weapons trade,” a spokesman for the Shin Bet (Israel Security Agency) said in an email, without elaborating. In addition to Dweikat, the IDF on Wednesday arrested two others in Nablus and raided the home of Dweikat’s brother Sarhan, who also has the rank of general, Wafa, the official PA news site reported. 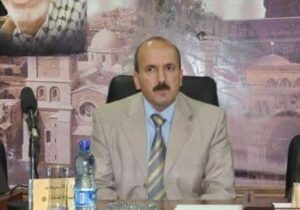 Dweikat, who was elected to the Fatah Revolutionary Council in December, was a head of the PA intelligence services in Nablus in the early 2000s and was appointed as Tulkarm governor in 2006, where he oversaw the rehabilitation of the PA security forces in the aftermath of the second intifada. In 2012, Dweikat was appointed governor of Jenin, serving until 2014 when he accepted a position as an adviser in the PA presidency. Fatah spokesman Munir Jaghoub responded to Wednesday’s arrests, saying that they confirm Israel’s hostile mentality. “The Israeli arrests and attacks against Fatah’s leadership and cadres are intensifying day after day all over the homeland, sending a clear message to the Palestinian people and its leadership that the current situation is incredibly difficult and complicated… and that the occupation’s mentality is only that of killing, destruction, arrest and denying Palestinian rights, requiring all of us to take a serious stand and confront its arrogance,” Jaghoub told Wafa. The IDF says that it carries out arrests of suspects who pose a security threat. On Aug. 9, 1982, the day before my fifth birthday, my grandfather killed himself. After taking a fatal dose of sleeping pills, he went into the living room and lay down on the couch, where my grandmother found him the following morning. I have few memories of my grandfather, whom we called Papa. Occasionally, there was a hushed comment or two about “the war,” but when I was young, I had little sense of what that meant. According to my mother, Papa had terrible nightmares, his screams occasionally waking her and my uncle when they were young. Like most Holocaust survivors, my grandparents rarely discussed the war with their kids, and so my mother assumed that the night terrors were perfectly normal, that all fathers occasionally woke their children with their shrieking. It was all she knew. After the war Papa owned a supermarket in the Bronx, which he sold around the time I was born. Without the store to occupy his time, he was perpetually restless. There was an unmistakable sadness to him, his cheeks lean and hollowed, his icy blue eyes a shade too big for his face. Whenever he visited, he’d take me onto his lap, kiss the top of my head, and tell me that I was his lawyer. It was a joke I didn’t understand then, and it makes little sense to me now. He was gentle and sweet, and I was his lawyer. Then he disappeared. I’ve been searching for him for 30 years now. Over time, I’ve gathered additional bits and pieces of his life story, most of which came from my mother and centered on Papa’s experiences during the Holocaust. He married my grandmother, whom I called Baba, a few months after the Soviets and Nazis invaded Poland in 1939. His brothers were killed in 1941 after the Nazis broke their pact with the Soviets and occupied all of Poland. In 1942, he and Baba were herded into a ghetto in Ternopil and spent time in work camps. The following year, fearing that the ghetto would be liquidated, they fled back to Janow, the small Polish village where they’d grown up. From then until the Russian army liberated the village, they hid in a bunker in the cellar of a house owned by the Kryvorukas, gentile neighbors who risked their lives to save village Jews. According to one story my mother heard from my grandfather, a Ukrainian policia once held a gun to the head of the youngest Kryvoruka child, Yulka, and demanded to know where the Jews were. Yulka remained silent even after the policia fired a warning shot behind his head and so saved the Jews hiding in the cellar. On another occasion, whoever was supposed to be keeping watch in the attic had taken the night off. My grandfather ran to the lookout in time to see a group of soldiers trudging through a heavy snowdrift. The reason that he had time to gather everyone and scramble to the cellar to hide was that one of the soldiers dropped his pistol, and the others got on their hands and knees and groped and yelled at each other until they found it. Meanwhile, Baba, Papa, and about a dozen other Jews hustled into the bunker to safety. It is The Pianist meets The Three Stooges, and it is only because of absurdities like this that I exist. In 2003, more than 20 years after Papa committed suicide, Baba died of complications from Alzheimer’s. While sitting shiva, my family gathered to share stories of Baba and Papa, and we realized once again how little we knew. It was then that one of my brothers or cousins first proposed a trip to Janow. Somehow, though, there never seemed to be a good time, and we procrastinated for years. Finally, in late 2010, we got around to planning our trip. Through Yad Vashem, we were able to find the contact information for the offspring of Yulka Kryvoruka, the brave neighbor who’d saved our grandparents 70 years before. Yulka had died in 1991, and his children wished to have him recognized as one of the Righteous Among the Nations, an honor for gentiles who’d saved Jews during the war. After a few weeks of exchanging letters, Yulka’s children agreed to meet us in Janow. I wasn’t sure what I hoped to learn, but some part of me thought that if I could see the setting of Papa’s nightmares, I could feel closer to him. I thought I might finally find him there. When we arrived at Janow, we pulled over on a road by the village’s entrance in front of the welcome sign. After taking a picture or two, my brother Jon and my wife Zoe and I ran up to the top of a hill so we could take in a better view of the village. I’d been expecting the village to feel dark and haunted. When I’d dreamed of it, the images were always in black and white, the landscape ghostly and stark, the buildings crude, burnt-out husks. But Janow, it turned out, was beautiful. And it wasn’t just beautiful, but exquisitely, heartbreakingly, every neuron-in-your-brain-taking-a-giddy-gulp-of-pastoral-ambrosia beautiful. The rolling green hills were covered in purple and yellow wildflowers. There were thick, healthy bees, swollen as grapes. There were low, winding brooks and fruit trees. In the distance we could see the sun glinting off the cross atop a cupola on a moss-green monastery. Below us, the Seret River ran through the village, a turbid bubbling artery, its banks covered in mud and damp grass. After asking a few villagers where the Kryvorukas lived, we drove up to a small blue house, the path to the front door flanked by gnarled grapevines. A man and a woman walked toward the car. The woman introduced herself as Ludmyla Kryvoruka. The man was her twin brother, Yuri. Yulka’s children. Inside, we sat and offered each other apologetic smiles. After a few minutes of exchanging pictures, we began to communicate through Alex, our tour guide. I cleared my throat and said what I’d rehearsed in my head a dozen times—something about how unusually brave and heroic their father was and how he was responsible for all of us being here. Ludmyla’s eyes grew damp. Though their father had occasionally talked about the war, he apparently said little about my grandparents. Our encounter with the Kryvorukas was gentle, suffused with a kind of stilted warmth, but clumsy. And I discovered nothing new from them about Papa. Later we learned that the house where my grandparents had hidden was still standing. It sat at the edge of the village, about two kilometers away. My mother, Ludmyla, and her son drove with Alex. Zoe, Jon, and I walked with Yuri and his dog. After a kilometer we ambled down a steep grassy embankment to the muddy banks of the Seret. In the distance, at the edge of an untilled field, was the house. A broad, thickly forested hill rose behind it, marking the edge of the village. This was the forest where my Baba’s youngest brother, David, for whom I’m named, was shot and killed. The scattered bones of dozens of victims must still be lodged in the earth. The house itself, like most homes in the village, was simple and crude, a dirty white-and-blue façade with a weathered brown roof. From 100 yards away, I could see the tiny attic window through which Papa kept watch. By the time we crossed the field, Mom, Ludmyla, her son, and Alex were on the porch with the middle-aged woman who now owned the house. Inside, the floor was coated in dust and covered in bent metallic wires. Next to a low pile of splintered wood planks was a naked doll missing its legs, its head twisted all the way around. To our left was the room where the policia took Yulka and fired a shot over his head. To our right, through the room covered in bent wire, was the entrance to the cellar. The cellar was only about six stairs deep. By stair three, my throat started to close as I felt a rising sense of panic, a combination of claustrophobia and fear of insects and rats and whatever else might have been skittering around in that dank, pitch-black hole. How 13 or 14 people could have fit down here was beyond me. I tried to engage in the imaginative exercise that I’d thought was the point of the trip, tried to picture what it would have been like to hide here, all those cramped and trembling bodies, the damp and mold in their lungs, the yeasty tang of animal fear, the knowledge that a cough or sneeze would mean instant death. But it’s impossible to really imagine it. I saw it the way I’d see a suspenseful scene in a movie, staged and artificial. The idea of being down there, choked with dust, possibly moments away from oblivion, simply wasn’t something I could grasp. It certainly brought me no closer to my grandfather, and I’d begun to appreciate how insane it had been to assume that it would. The man thought again and this time his eyes lit up as he slapped the back of one hand into an upturned palm. As if on cue, we spotted an elderly woman hobbling toward us with a crude walking stick. She wore a black headscarf, even though it was probably 90 degrees in the midday sun. When Alex addressed her, her face brightened and she began speaking with great animation. The moment she heard the name Pohoryles, she nodded and pointed to the same house the old man had. She then went on a long monologue, and we listened with astonishment as Alex translated and revealed an impressive array of biographical detail. Her mother used to deliver milk to the Pohoryles. Baba’s mother used to give her a roll on Shabbat. Papa was the youngest of three brothers; he was handsome and charming, but very serious, a good businessman. Everyone knew and liked him. Suddenly I could see Papa as a young man, his hair thick and black, his lean and handsome face radiating a friendly professional intensity. In the 1930s, Janow was a village of over 2,000 people, and everyone knew him. I’d devoted so much mental energy to picturing Papa in hiding that I hadn’t once attempted to picture him in his day-to-day prewar life. In 1938, he was 25 years old, a decade younger than I am now. That’s the only Nahmush these villagers knew. The tormented old man with the large bloodshot eyes, the man I knew when I was a child, would be totally alien to them. Surely my grandfather wasn’t simply sitting around Janow waiting for the Nazis to invade, for his life to become a hopeless tragedy that would end in suicide. Standing there on a flower-dotted hill, drinking in the gorgeous sun-struck landscape, listening to these charming villagers talk about my Papa, I got a small taste of what it might have felt like to be in Janow before the war. I’d thought that the point of the trip was to see the blasted, war-torn landscape where he’d almost died, but instead I found the gorgeous pastoral village where he’d lived, where he’d been more than just a victim, where he’d been an actual three-dimensional person who played and loved and thrived, and perhaps this was a far richer, more valuable thing to discover. For a moment, I found him. I can imagine my prewar grandparents as young and in love, splashing in the Seret, surrounded by wildflowers and turkeys, giggling and happy. Such simple joys don’t begin to make up for what happened to them. Nothing can. But there’s value in remembering that their lives were more than the war and its attendant trauma. It’s something that, in a moment of terrible loneliness and pain, my gentle Papa forgot. THE HAGUE, Netherlands (AP) — Anne Frank may not have been betrayed to Nazi occupiers, but captured by chance. A new study published Friday by the Anne Frank House museum in Amsterdam says that despite decades of research there is no conclusive evidence that the Jewish diarist and her family were betrayed to the Netherlands’ German occupiers during World War II, leading to their arrest and deportation. One theory is that the Aug. 4, 1944, raid that led to Anne’s arrest was part of an investigation into illegal labor or falsified ration coupons at the canal-side house where she and other Jews hid for just over two years. Anne kept a diary during her time in hiding that was published after the war and turned her into a globally recognized symbol of Holocaust victims. She died in the Bergen-Belsen Nazi concentration camp at age 15, shortly before it was liberated by Allied forces. The new research points to two men who worked in the building on Amsterdam’s Prinsengracht canal and dealt in illegal ration cards. They were arrested earlier in 1944 and subsequently released, Dutch records show. The arrests also are mentioned in Anne’s diary. Another possibility raised by the report is that the raid was part of an investigation into people being allowed to work to prevent them being called up as forced labor and sent to Germany. The report adds that, “The possibility of betrayal has of course not been entirely ruled out by this, nor has any relationship between the ration coupon fraud and the arrest been proven,” and says further research is necessary. “Clearly, the last word about that fateful summer day in 1944 has not yet been said,” it adds. The findings are potentially controversial because the story of Anne Frank is seen as emblematic both of Dutch heroism during the Holocaust and of collaboration with the Nazis – for which Dutch prime ministers have consistently declined to apologize despite calls to do so. “The question has always been: Who betrayed Anne Frank and the others in hiding? This explicit focus on betrayal, however, limits the perspective on the arrest,” the Anne Frank House wrote in the five-page summary of the new study, which relies also on entries from Anne’s diary. The entries, the study suggests, show the hiding house on Prinsengracht 263 was tied to activities punishable under the Nazi occupation in addition to Dutch underground fighters’ sheltering of Jews there. The two men represented Gies & Co., a company that was affiliated with the Opekta firm owned by Anne Frank’s father, Otto, and located on Prinsengracht 263. “B. and D. have been caught, so we have no coupons,” Anne Frank wrote on March 14, 1944. “This clearly indicates that the people in hiding got at least part of their ration coupons from these salesmen,” the study states. Other evidence shows that people associated with Prinsengracht 263 were punished by the Nazi occupation for evading work. Yet, “until now the assumption related to this matter” has always been that agents working for the occupation “were specifically looking for Jews in hiding” when they raided the hiding place, the authors continued. Over the years, researchers have presented various hypotheses on who may have betrayed the Franks to the Nazis, though none of the suspects were accepted as consensus. LOS ANGELES — For the descendants of the Sephardic Jewish community of the idyllic town of Kastoria, Greece, the northern region of West Macedonia inspires memories of picturesque limestone mountains, Byzantine churches, Ottoman architecture, and thriving fur and fishing economies. It’s a land that has traded hands many times — Norman, Greek, Bulgarian, Byzantine Turkish. In fact, so diverse was this town that it attracted many different ethnic groups, including Jews. However, during World War II, the previously quiet community, a home for the distinctive Romaniote Jews who settled there 2,000 years before, was extensively damaged and the Jewish population nearly wiped out. Just 35 of the original population survived; it had originally numbered at 900. 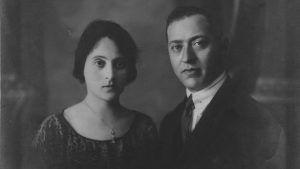 A new documentary, “Trezoros: The Lost Jews of Kastoria,” chronicles the history of that Sephardic community and documents the destruction of a minority population — one of many communities that had existed in Greece prior to WWII. In October 1940, Greece was invaded by Axis forces. Initially, under Italian occupation, the Jewish community remained safe. But after Mussolini fell from power, the Nazis seized control of the town, and 763 Kastorian Jews were rounded up and sent to Auschwitz-Birkenau. Through never-before-seen archival footage, executive producer and director Lawrence Russo and co-director and producer Larry Confino tell the story of a vibrant community that has slowly faded from the consciousness of so many around the world — Jews and non-Jews alike. For the filmmakers, the story is personal, as their families have direct ties to Greece. This is no amateur documentary: Director Russo co-founded the independent studio The Shooting Gallery (“Laws of Gravity,” “Sling Blade”) and directed the Emmy nominated PBS short film showcase “ShortCuts.” Confino is the founder of Synapse Productions and executive director of ImageRescue, Inc.
Based in New York for over 25 years, Confino has produced documentaries and commercial projects on a multitude of subjects for production companies around the world. In advance of the film’s release, Russo and Confino sat down in Los Angeles with The Times of Israel. Russo: We want to bring awareness that there were Jews in Greece. Not only were they there, but they had been part of some of the oldest communities in the world. In almost the blink of an eye during WWII, that was taken away. Why cover this issue now and what makes it deserving of a documentary? Confino: We felt a sense of honor to tell the story, along with a sense of responsibility. If we don’t capture it now, when will be able to? We prepared to interview any of the 35 who survived. A couple of people didn’t want to talk about what happened to them, but most of them did. We really needed to capture the oral histories. How did you fill in missing details that the survivors could not help with? Confino: At a certain point, we realized that there were certain facets of the story that weren’t there. We were lucky enough to meet a gentleman from Kastoria. He introduced us to Greek Orthodox people who were children at the time, but still had some vivid memories. Your mother, Lena Russo, is an important part of this documentary and tells much of the story. How did your parents’ experience persuade you to work on this film? Russo: I grew up with most of those stories. As a kid, I always wondered why I didn’t have grandparents. As I got old and learned about the history, it made an impact. I felt a responsibility to tell their stories. In 1996, there was a monument dedication to the Jews who were killed in WWII, as depicted in the film. At that point, I got together with some of the survivors and realized there’s something here to make a documentary. Can you tell us about the personal connection you have to the town of Kastoria? Confino: In the documentary, you see the Confino store. That belonged to my great-grand uncle. My great-grandfather’s brother stayed in the town — some of the Confino family came to the United States, but many stayed. Literally everyone in my family who stayed was lost in the Holocaust. How did you go about locating survivors? How long did that process take? Russo: Two of the 35 survivors were my parents. Two more are my uncle and aunt. These are a rare group of people who survived experiences during the war in Greece. They knew everyone else who was alive because they kept in touch. Do you have plans to partner with any Jewish and Holocaust remembrance museums? Confino: We realize we’re capturing a portion of WWII history that needs to be seen by the general public. It’s a corner of the Holocaust that should be seen. We’re hoping for partnerships. We’re getting requests from the town of Kastoria to incorporate it into the history curriculum in high schools. This outreach is part of our main objectives. We will also be screening it in Tzur Moshe in Israel, which, as the story goes but needs to be verified, is named in honor of a Kastoria resident. Confino: The takeaway from meeting them, across the board, is their incredible mental strength. These are people who were determined to survive and are very inspirational. The two sisters, Hanna Kamhi Saady and Solika Kahmi Elias, live down in Florida. You can make a film just about them — about any of these people. What about other people interviewed for background, such as members of the Christian community? Confino: Interestingly, we found some of them in the United States only after going to Kastoria. We had to go to Greece to find out about this guy who lives in Bay Ridge in Brooklyn. He had a very vivid memory of his childhood. One of the things he told us was that he witnessed how the Nazis rounded up people in the Jewish community. He was in his backyard, and he describes it as an eyewitness. Even though he hadn’t lived there in 50 years, he had very vivid memories of that time. We found another in Jackson Heights in Queens, New York, and wouldn’t have known about him had we not gone to Greece. Ultimately, it took four trips to Greece to arrange for interviews, film shooting, and more. Do you see any parallels with what has happened to the Jews during WWII and the conflicts of today that have put communities like the Yazidis in Iraq and others at risk? Russo: Unfortunately, genocide is an ongoing thing. There is always some part of the world where people are trying to oppress a group of people based on their ethnic background. As far as the film states anything, it’s a reflection of one of the larger examples of genocide. How do you educate your kids about this topic? Confino: In the case of this project, I felt like my kids were a little too young to know what I was working on in the beginning. I consciously didn’t involve them. My kids have only seen the film recently. There’s a certain amount of pride in where I come from. That’s something I hope to pass along to my kids. If the Holocaust had not occurred, we’d be traveling back to Greece to visit relatives. Instead, we’re doing what we can to preserve the memories of victims. The film will run in Los Angeles at the Laemmle Music Hall from November 25 to December 1, 2016. Visit www.trezoros.com about upcoming dates in other cities. George Jaunzemis was three and a half years old when, in the chaotic weeks at the end of World War Two, he was separated from his mother as she fled with him from Germany to Belgium. He grew up in New Zealand with no memory of his early years, unaware the Latvian woman who had emigrated with him was not his real mother. Then in 2010, a letter from the International Tracing Service (ITS) in Bad Arolsen changed his life. He discovered his real name was Peter Thomas and that he had a nephew and cousins in Germany. Yet it took Jaunzemis over three decades of tenacious searching to find the vast archive in this remote corner of Germany where his past was buried. Posted on March 18, 2013 in: Searches, SURVIVOR STORIES|Comments Off on Seeking Kin: What became of a refugee couple sheltered in a Spanish monastery? JERUSALEM – Karl and Ruth Albrecht, a couple who fled Nazi Germany, were given shelter in 1941 or 1942 at Santa Maria de La Vid, a monastery in Spain. He was Catholic, she was Jewish. Santiago Arroyo, a resident of Burgos, a northern Castile city near the monastery for Augustinian monks, tells of a connection his family has to the period and wonders what became of the couple. Don Grigorio Arranz became friendly with the couple because as a physician, his work often took him to the monastery. His daughters, Pilar and Remedios, knew them, too. Pilar, now 96, is the mother of Arroyo’s wife, Lourdes Nieto Arranz. Many years ago Arroyo, a wine salesman and a Catholic, first heard Pilar speak about the Albrechts. An admirer of Israel and of Jews, he contacted “Seeking Kin” after reading a column in an Israeli newspaper with a website he checks regularly. A Holocaust survivor who was just four years old when he was liberated from Auschwitz has spent the last 67 years wondering what happened to his other half. Menachem B. (he has asked to keep his last name private) was able to emigrate to Israel and build a life there after he was released from the Nazi camp in 1945, but he always knew something was missing — his twin, Jolli. Now 72 and retired, Menachem has teamed up with geneaologist Ayana KimRon to find the long-lost brother he barely remembers. KimRon first learned about Menachem through a geneaology forum she’s a member of, when she came across a post entitled “Looking for my twin brother.” Written by a friend of Menachem, the post piqued KimRon’s interest. She wrote back. “When I heard his story I knew right then and there that he lost a portion of his birth identity in Auschwitz,” she said.